The Federal Government has disclosed plans to hold a retreat for what it has described as a crisis in Nigeria’s education sector. Briefing journalists after the Federal Executive Council meeting, the Minister of Education, Adamu Adamu said the council rejected a blue print presented by the ministry and instead called for a retreat to be held in two weeks time to resolve the said crisis. The Education Minister also used the opportunity to clear the air on the raging controversy surrounding the alleged removal of Christian Religious Studies (CRS) as a subject in the secondary school curriculum. He stated that carriers of such news are only trying to create tension in the country and as such, should desist forthwith. 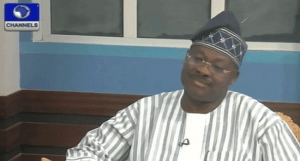 In its relentless pursuit of better academic ratings for Oyo State, Governor Abiola Ajimobi, has created a Schools Governing Board, for secondary schools in the state. This according to him would help in bridging the gap of deficiencies and improve academic standard. Governor Ajimobi also said that the newly introduced SGB would better connect the government and the community in the management of various public secondary schools in the state. He stated that the board would be managed by various stakeholders such as community leaders, old students associations, principals and head boys/girls of each school. The governor stressed that new performance targets have been set to make automatic promotion impossible for pupils in the state, adding that this step would complement other firm approaches towards reclaiming the lost glory of the state education sector as well as improving its quality. The stakeholders, who were part of the guests at the Town Hall Meeting, held at the International Conference Center, University of Ibadan, where the new education policy was launched by the state governor, believe that the initiative would indeed revive the education sector. Governor Ajimobi, while launching the policy, restated his administration’s resolve to rebuild the education sector and put a stop to poor academic performance by public school students. 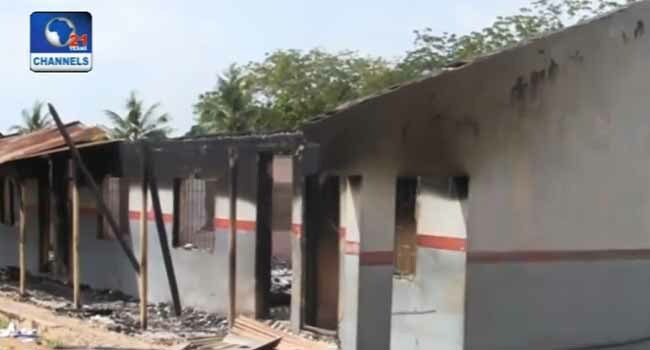 He also stressed that the condemnation against students arsonists should be collective as the burning and destruction of classrooms and school properties were acts that even parents should not condone. Furthermore, he noted that it is shameful that Oyo State that hosts the first University in the country is performing woefully in public examinations. He therefore called on all stakeholders to come together and condemn the criminal tendencies of students who burned classrooms and destroyed public properties, while also protesting the policy against mass promotion in some parts of the state. Governor Ajimobi called for an all-inclusive stakeholders support, stressing that the state government is open to support from old students, technocrats, community leaders and other sources for the development of education in the state. The Commissioner for Education in the state, Professor Adeniyi Olowofela, explained that the new policy would allow proper monitoring. Speaking on behalf of other traditional rulers in the state, the Onpetu of Ijeru, Oba Sunday Adediran, commended the efforts of Oyo State government in finding solutions to what he called the fall in standard of education in the state through automatic promotion. The governor also spoke of the crisis at Ladoke Akintola University of Technology, Ogbomoso (LAUTECH). He assured them that it would soon be over as the fact finding panel set up by the governments of Osun and Oyo to resolve the imbroglio would submit its report before the end of month. Reacting at the end of the town hall meeting, Secretary of Nigeria Union of Teachers (NUT) Comrade Niyi Akano, said that the teachers’ union expressed delight that the State government gazetted the School Governing Board Model as the body NUT had been part of the program’s initiation. He called on the government to increase the level of in-service training for teachers, towards capacity improvement and also employ due process in recruitment to ensure quality. 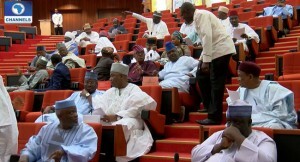 The Senate says some agreement have been reached between the Nigerian government and the Academic Staff Union of Universities, ASUU on some of their issues except one which borders on the earned allowances of lecturers. This was made known by the Senate committee set up by the Senate President Bukola Saraki to address the industrial crisis embarked on by ASUU. The Chairman Senate Committee on Tertiary Education, Senator Jibrin Barau, spoke after a meeting that commenced about 12 noon and ended around 8PM. He said that the academic union were going to make consultations with their members on the way forward and that the upper house was hopeful that they would return with good news. ASUU embarked on the strike to protest the failure of the Federal Government to implement terms of the 2009 and 2013 agreements. The ASUU Chairman for the University of Lagos, (UNILAG), Mr Adelaja Odukoya, explained the reasons for their decision to Channels Television. 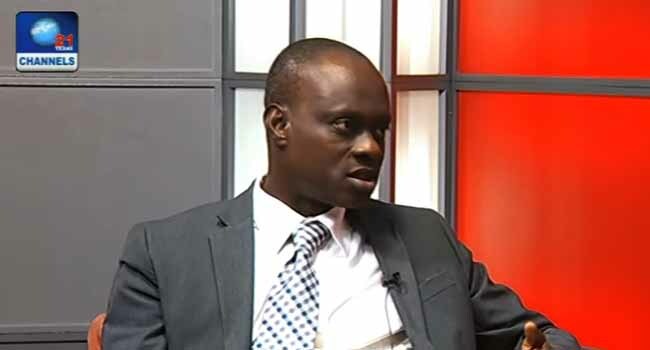 He said the Federal Government had failed to deliver on its 2009 Agreement and 2013 MoU. According to him, the government is owing over 800 billion Naira, funds which he said were meant to upgrade the university system, in attempts to make them globally competitive. In a meeting of the Senate President with ASUU officials in Abuja, the Chairman of ASUU, University Of Uyo Chapter, Dr Aniekan Brown, told Channels Television that she was glad that the industrial action had enjoyed 100% compliance in line with the directive. She also said that the strike was “informed by the inability of the federal government to honor the agreement reached with ASUU on a number of issues, which you already know. President Muhammadu Buhari recently appealed to union of Nigerian university lecturers to give government more time to sort out the shortfalls in salary payment and other related issues affecting the education sector. President Buhari made the plea at an event at the University of Ibadan. 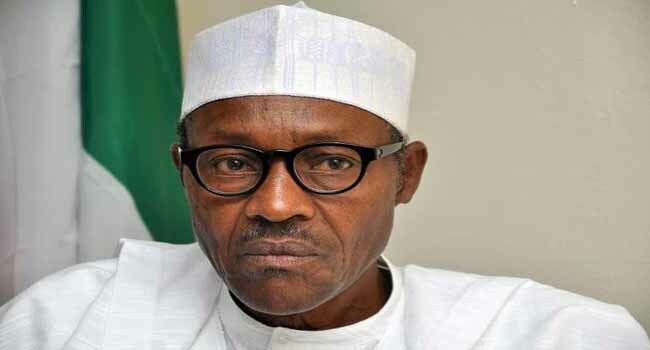 President Muhammadu Buhari has appealed to the Academic Staff Union of Universities (ASUU) to give government more time to sort out the shortfalls in salary payment and other related issues affecting the education sector. President Buhari made the plea as the visitor at the grand finale of the 68th Founders’ Day and convocation ceremony of the University of Ibadan which took place at the International Conference Center, Ibadan. Represented by the Director, Tertiary Education at the Federal Ministry of Education, Mrs. Fatimah Ahmad, President Buhari decried the standard of education which has left a vast majority of the people poorly educated. Describing the trend as unhealthy and saddening, the President reiterated his administration’s commitment to revamping the sector. Mrs Ahmad added that government was in dialogue with the affected unions and would continue to explore means of amicable resolutions. A total of 442 graduates bagged doctorate degrees in various fields while three eminent Nigerians including business mogul, Aliko Dangote; writer and poet, Prof. Niyi Osundare and Ibadan businessman, Bode Amao were conferred with honorary degrees of the prestigious institution. The Kwara State Governor, Abdulfata Ahmed, has deplored the improper management of state owned tertiary institutions and warned against illegal recruitment, saying that anyone who flouts the orders should be ready to face severe sanctions in accordance with the law. 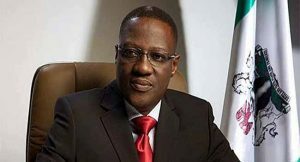 Governor Ahmed handed down the warning, while receiving the reports of visitation panels to the Kwara State College Of Education, Oro and Kwara State College Of Arabic And Islamic Legal Studies (CAILS), at the government house, Ilorin. He the government could no longer allow its tertiary institutions the latitude for irregular and unauthorized recruitment, revenue leakages and general inefficiency. Mr Ahmed said the panels were set up in order to raise the standard of the colleges to its core mandate. He expressed hopes that various recommendations in the report would assist the state government in taking far reaching decisions, that would bring to an end the multi-dimensional problems faced by the institution. The governor also stressed the need to run academic institutions efficiently, in order to birth self-sufficient and reputable students who can stand among their peers. He promised that the government would look into at the challenges facing the college and give it necessary support with a view to making it self-sustaining. “Certainly we can no longer allow our tertiary institutions the latitude for irregular and unauthorized recruitment, revenue leakages and general inefficiency. “As I have said previously, anyone in these institutions found guilty of illegal recruitment or abuse of public fund, would be dealt with in accordance with extant laws of the land. The governor emphasized his optimism that recommendations contained in the reports would also form the foundation for ending the unfortunate salary crisis experienced by state owned institutions in recent times. On a final note, he stated that the resolve of the government was to “end the leakages, inefficiency and unauthorized actions that created the crisis,” in the shortest possible time. Political and traditional leaders from the northern part of the Nigeria are lamenting the deplorable state of the region, arising from insecurity, poverty and a downward plunge from its respected position of influence in the country. The leaders made their position known on Monday in Kaduna state at the annual Pan Northern Summit of Leaders and Elders of the region organised by the Northern Elders Forum. 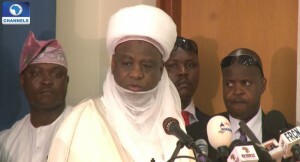 Speakers at the conference including the Sultan of Sokoto, Alhaji Saad Abubakar and Borno State Governor, Kashim Shettima, relived the unity and oneness of the people of the North in the past, saying that the fragmentation that currently exists among the people is responsible for insecurity and backwardness of the region. Organisers of the summit believe it is time for leaders of the region to come together and address these challenges that have put them behind other regions. 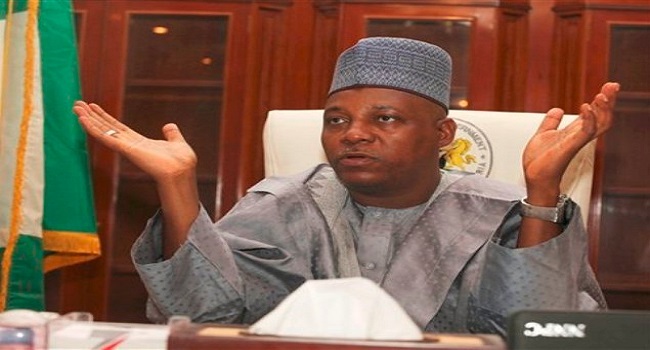 In an emotion-laden speech, Governor Kashim Shettima of Borno state said that the current security challenges in the Northeast and particularly Borno State, where over 50,000 women have been turned to widows by insurgents, calls for serious concern not just from the citizens of the affected states but from Nigerians in general. The Governor announced that Boko Haram has been largely contained that they no longer pose any security threat to the corporate existence of Nigeria. He identified key areas which the northern leaders must address to overcome these challenges. They include poverty reduction through agriculture, job creation, reviving the education sector and gender equality. Blessed with large land mass and population size, as well as abundant mineral deposits, participants at the summit agreed that northern Nigeria has no reason to be poor. According to them, the way forward is for the people and the leaders to go back to the visions and dreams of the founding fathers whose tenure brought about unity and development of the region in the past. 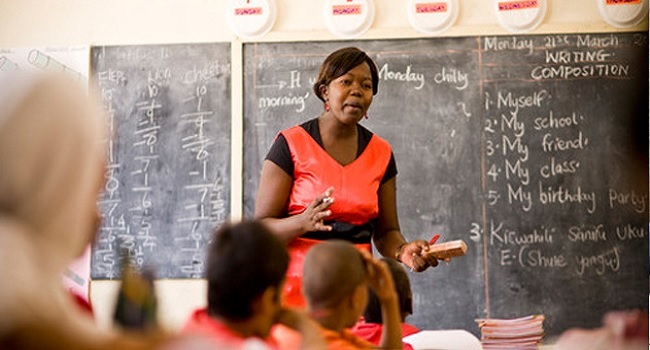 The Nigerian Government has reiterated its commitment to tackling the issue of unqualified teachers as part of efforts to arrest the dwindling fortunes of the nation’s education sector. The Minister of Education, Mr Adamu Adamu, made the declaration at the 61st meeting of the National Council on Education in Abuja. He said “without adequate and qualified teachers, the goal of having an education system that produces quality graduates who can compete globally, cannot be achieved”. The Executive Secretary of the National Universities Commission, Professor Abubakar Rasheed, also advocated the need for teachers to improve themselves in order to impart quality knowledge. In a meeting held earlier in September, the education ministry has stated its plan to align with the contemporary world and its focus on education “as an instrument of launching nations into the world of science and technology, with consequential hope of human advancement in terms of living conditions and development of the environment”. According to the ministry, “a nation develops in relation to its achievement in education”. 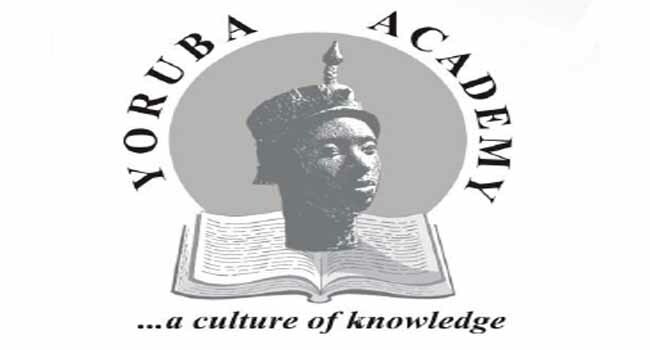 The Yoruba Academy has suggested that one of the ways by which the country can overcome the current economic recession is when leaders have a collective and unifying direction, in an atmosphere of peace and security. This was one of the conclusions at a forum put together by a confluence of Yoruba sons and daughters, to profer solutions to the current economic crisis. The event which took place at the International Conference Center of the University Of Ibadan, saw Yorubas from all walks of life, come together to find ways of achieving unity, political cohesion and social justice. Among other matters discussed at the event was the restoration of the Yoruba heritage in line with national development. 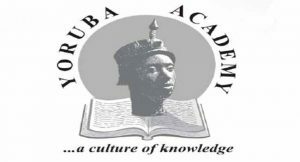 The group submitted that as much as the development in Yoruba land cannot be isolated from contemporary development, the pride associated with the region in the education sector must be urgently restored for appreciable progress to be recorded. Scholars, politicians and historians, technocrats, traditional rulers, as well as social groups were all present. They posted that the tension in the land must be addressed with healthy regional competitiveness against all odds. The group also noted that the forum was put together on the commemorative day of the Kiriji war armistice, because of its symbolism on the unity, progress and peace of the Yoruba land. The event which clearly displayed the rich cultural heritage of the Yoruba people, was also aimed at celebrating the past, the present and the future of the race. It was a mild switch from less serious matters to major issues, as various speakers affirmed that the problems facing the country and the region, are self-inflicted from years of irresponsible governance and corresponding follower-ship. They argued that another major way out of recession is for Yorubas to resume as a producing region which it was once popular for. Among the guest speakers were Dr. Busari Adebisi, Pa Olawale Oshun, Olutayo Adesina, Tunde Kelani, who spoke extensively about issues affecting education and cultural appreciation. They also mentioned that value re-orientation of the ‘omoluabi’ ethos must be instruments of individual and societal development. The Federal Government has released a new road map to guide the Ministry of Education to address the myriads of challenges confronting Nigeria’s education sector. The strategic plan comes as part of efforts to reposition Nigeria’s education sector to play a central role in the Federal Government’s philosophy of change. The Minister of Education, Mr Adamu Adamu, unveiled a draft of the 2016-2019 Ministerial Strategic Plan on Monday in Abuja, the Federal Capital territory. Mr Adamu reaffirmed government’s commitment to strengthening institutional structures and creating innovative strategies aimed at revamping the education sector. He asked Nigerians to team up with the Federal Government to salvage the sector and return it to the path of excellence. The 2006 to 2015 Education Master Plan launched under the administration of former President Olusegun Obasanjo was meant to fashion out new policies that would enable the sector emerge from its declining status, especially on issues pertaining to Nigeria’s ‘Education For All’ policy and infrastructural decay occasioned by institutional and legislative constraints. The expiration of the policy in 2015 gave the need for a new strategic plan. On his part, the Minister for Niger Delta Affairs, Pastor Usani Uguru, attributed the fallen standard of education to the failure of past governments to regulate the teaching profession. The Director, Department of Educational Planning, Research and Development, Magdalene Anene-Maidoh, also highlighted the focus of the strategic plan. She expressed hope that the new plan, when adopted and implemented by the experts, would arm Nigerian youths with the skills they require to face the challenges of the 21st century. The Federal Government has restated its commitment to revamping Nigeria’s education sector through the recruitment of 500,000 teachers into the basic education sector across the country. The Minister of Education, Mr Adamu Adamu, made the disclosure at the launch of the 2015 teacher development training programme in Abuja, Nigeria’s capital. He said that the Federal Government places a high premium on the training of teachers and education managers at the basic level. The Minister decried the inability of some state governments and State Universal Basic Education Boards (SUBEBs) to promptly access matching grants and other non-conditional grants from the Universal Basic Education Commission (UBEC). He also expressed worry at the huge gap between the number of teachers required and the current number available in the basic education sector. The Minister stated that the total number of teachers needed to strengthen the basic education sector was 1.3 million in six years. He expressed hope that the teachers’ recruitment would no doubt fast-track the revamping process, especially with the cooperation of state universal education boards. In their remarks, Imo State Governor, Rochas Okorocha and the President of The Albino Foundation, Mr Jake Epelle, called for the continuous training of teachers. An education specialist from the World Bank, Mr Afebayo Solomon, pledged support for the development of basic education in Nigeria. The Executive Secretary of UBEC, Dr. Dikko Suleiman, on his part, highlighted government’s efforts in revamping the education sector. The Senate has queried a 10 billion Naira increase in the 2016 Budget proposal of parastatals in the education sector. Legislators at the upper House made the inquiry on Monday during a budget defence session at the National Assembly in Abuja, Nigeria’s capital. 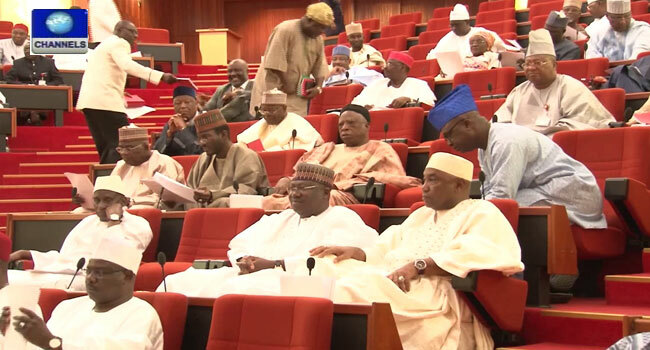 The Senate Committee on Tertiary Institutions questioned why 98.1 billion Naira was budgeted for education parastatals in the 2016 budget proposal. The committee also expressed concern over personnel proposals of institutions including unity schools and universities, which were reduced. In the 2016 budget breakdown, the education sector got the highest figures, a development that had been commended, as the nation’s education system needed to be reformed.